Come and explore the Kingdom of Arendelle with Elsa & Anna! Get into the fast-paced action with Disney Cars heroes! Live like a Princess with the wonderful Disney Princess Combo Castle! Join the adventure with everyone’s favourite big green ogre! Adelaide Jump’N Castles is a family run, professional business located in the North of Adelaide specialising in jumping castle hire. The friendly team at Adelaide Jump’N Castles caters for any occasion including children’s birthday parties, sporting events, fetes, school or community fundraising activities, store openings, church functions, kids parties or Christmas parties – the list just goes on and on! 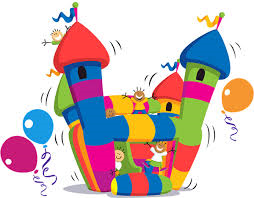 All the jumping castles for hire by Adelaide Jump’N Castles are lots of fun and great value for money, with a range of inflatable & bouncy DreamWorks, Disney, Nickelodeon and Warner Bros. jumping castles available for hire. We provide a variety of different castles for hire including standard jumping castles as well as combo jumping castles which can be used wet or dry and also include a basketball hoop, climbing wall and slide. With full Public Liability Insurance, a jumping castle from Adelaide Jump’N Castles will always adhere to all required Safework SA and health & safety legislation. Being parents ourselves we understand the joy an inflatable & bouncy castle can bring to all the family and hope to hear from you soon!! !